The season of love is upon on and that means new designs inspired by Valentines Day! 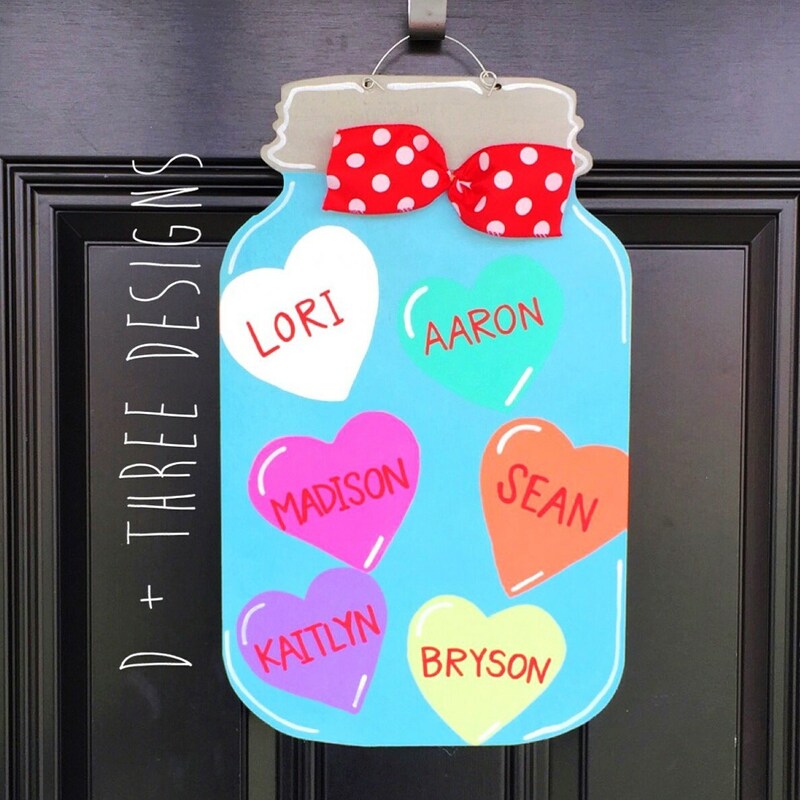 This large conversation hearts mason jar wooden door hanger is a colorful pop of door candy for any entry way! 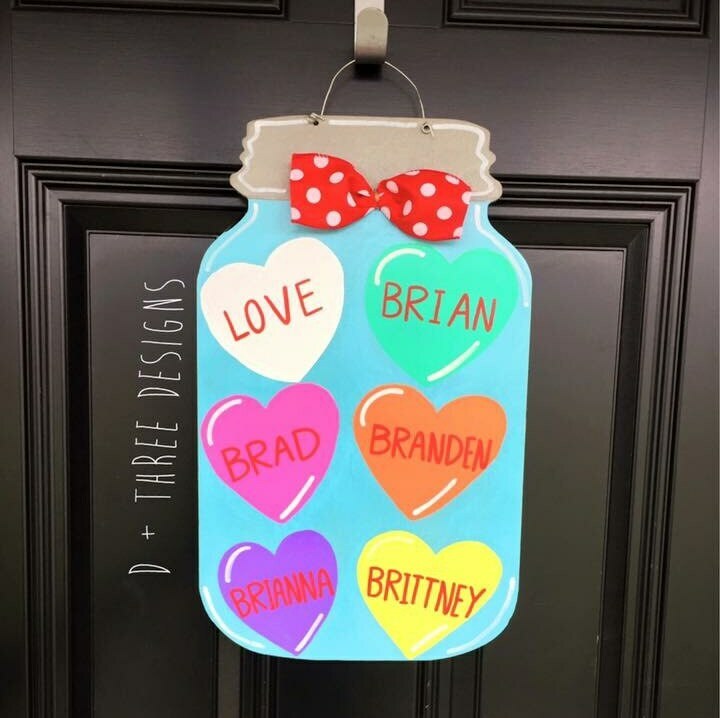 Up to six custom colored hearts with your choice of sayings/names can be yours! 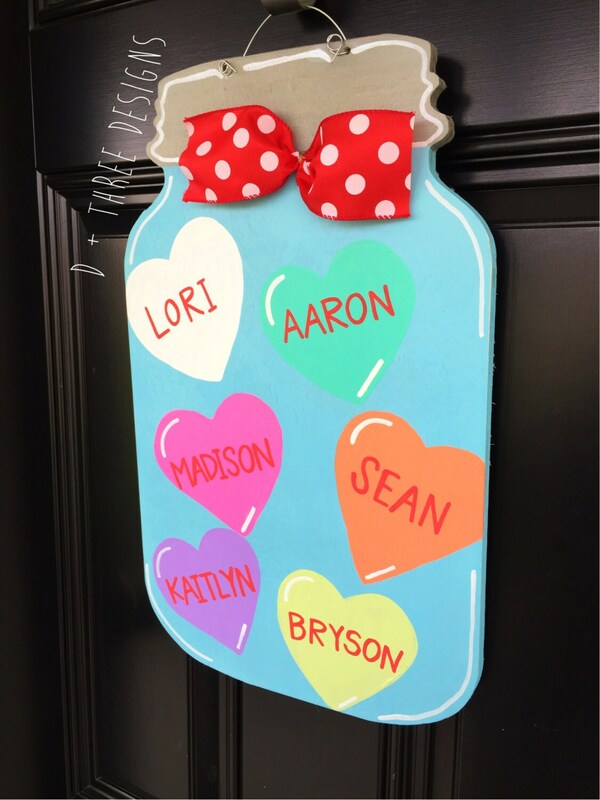 This large conversational heart mason jar wooden door hanger is approximately 20". inches tall. All of our door hangers come with a metal wire attached so they are ready to hang right out of the box. 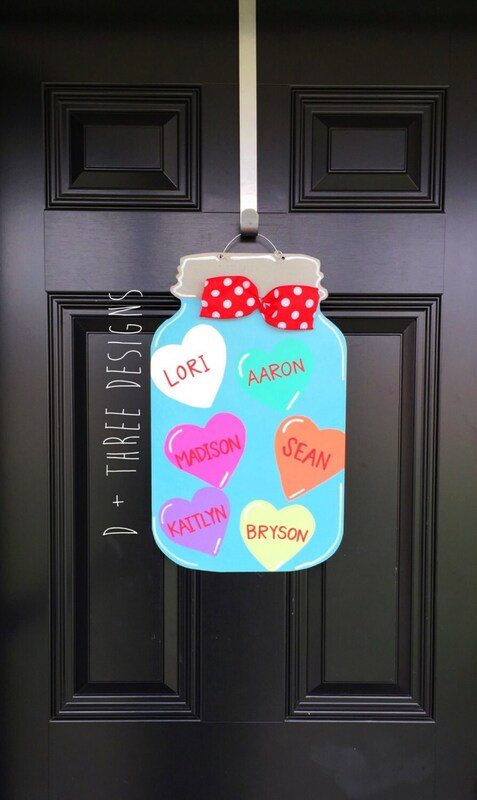 This conversational heart Mason jar wooden door hanger is made on 1/2 thick birch wood, hand painted, and sealed. It is topped with a red and white polka dot bow. You pick the wording and colors! Just put your specifics in the notes to seller box upon check out. My sister-in-law loved this for her birthday. Thank you so much.